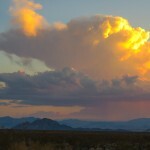 The Amargosa Conservancy is thrilled about the designation of the Mojave Trails lands for National Monument Status. See the press release about the designation here. 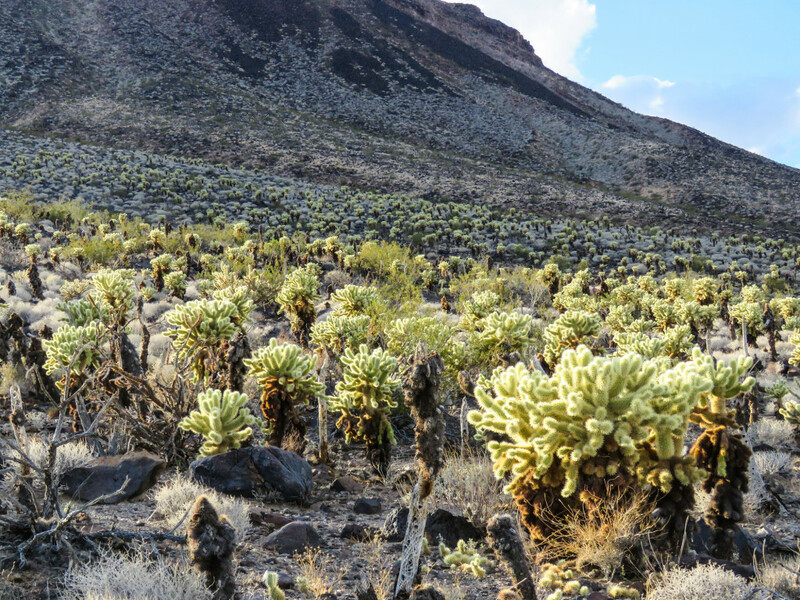 One of the special places that the Amargosa Conservancy works to protect is an area proposed for protection as Mojave Trails National Monument. 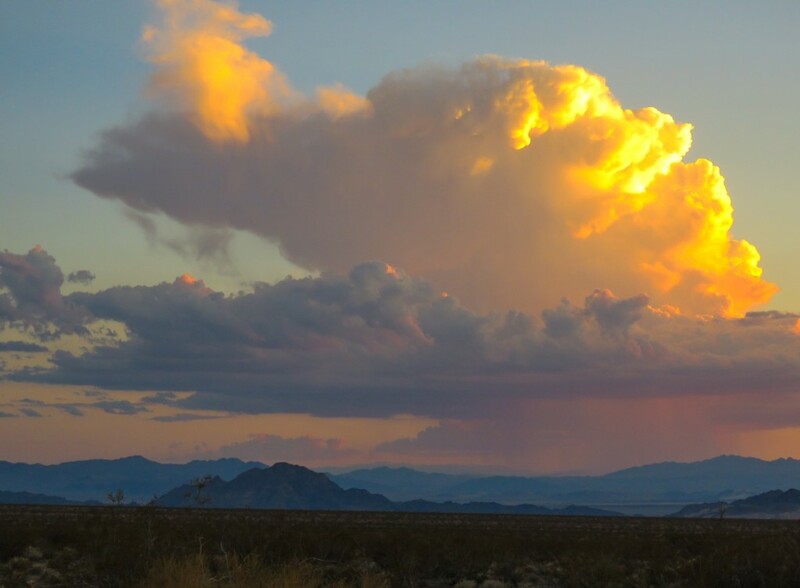 Encompassing over a million acres of the central Mojave Desert, Mojave Trails is a region of jagged mountain ranges, salt flats spanning broad valleys, and shifting sand dunes. Bighorn sheep and mule deer thrive at its remote springs and watering holes, while rare wildflowers bloom each spring in hidden canyons. The area has a rich human history. The Chemehuevi Indians called it home for thousands of years, with small groups making their homes at each desert spring. Successive waves of miners seeking gold and silver fanned out over the area, finding little wealth and leaving their mysterious traces for future generations to uncover. A mass emigration took place here in the 1930s: the best preserved stretch of historic US Route 66 winds through Mojave Trails, from Needles to Barstow. 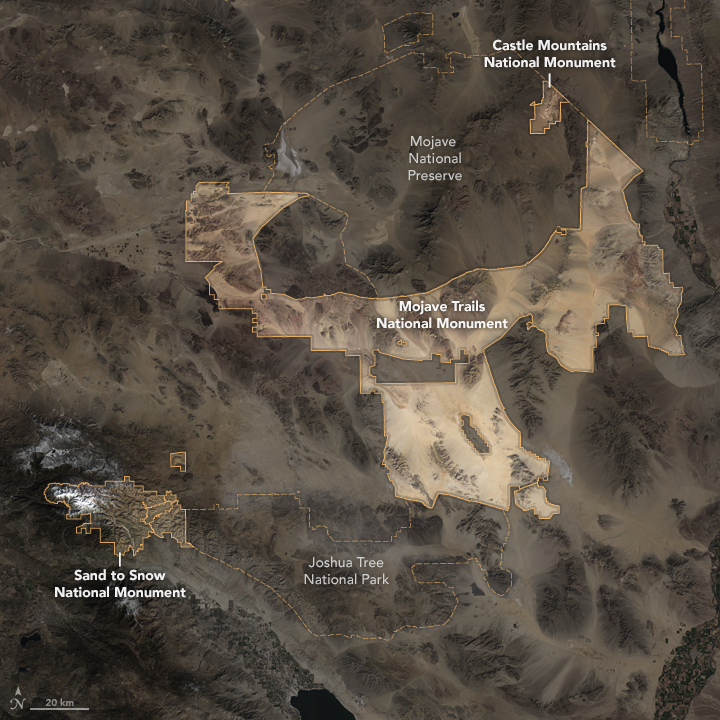 In the early 2000s, the Wildlands Conservancy and Senator Dianne Feinstein helped to arrange one of the largest conservation land acquisitions in history, as hundreds of thousands of acres of railroad grant land owned by the Catellus Corporation were conveyed to the Bureau of Land Management, preventing the fragmentation of the landscape we now call Mojave Trails. 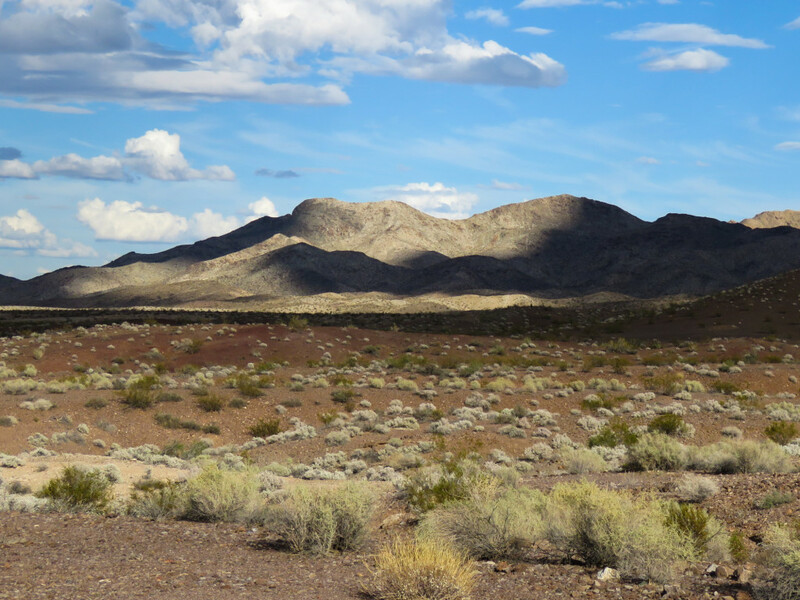 Some years later, as solar energy development became a priority for federal land managers in the California Desert, it was recognized that these lands and the landscape they are a part of should be preserved in their undisturbed state. 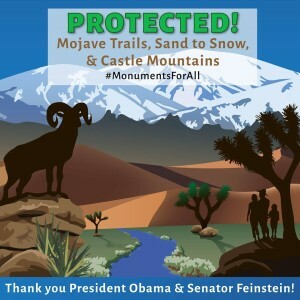 Thus at the request of local citizens and environmentalists, Senator Dianne Feinstein proposed the area for protection as Mojave Trails National Monument. 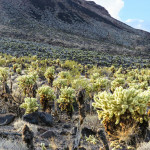 Unfortunately, despite five years of attempting to move her proposal through Congress, most recently in the California Desert Conservation and Recreation Act of 2015 (CDCRA), the bill appears not to be moving forward. 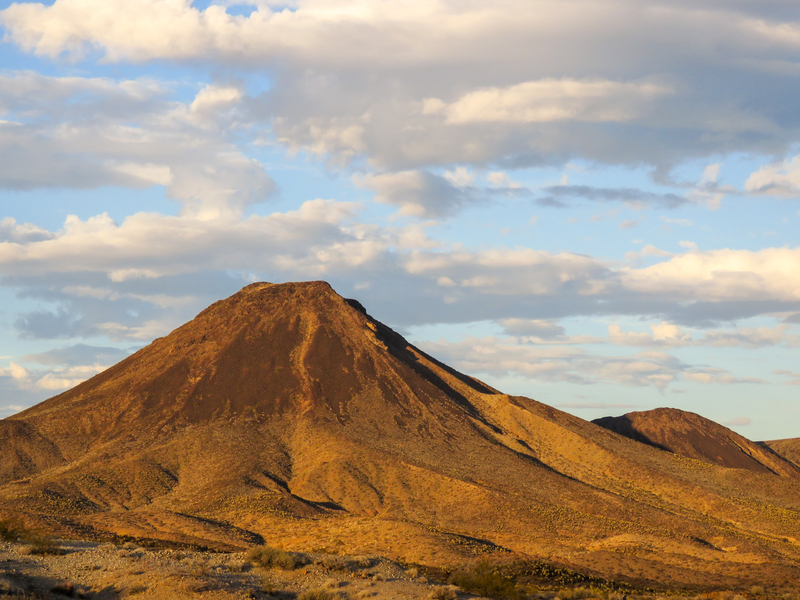 Therefore, the Campaign for the California Desert applauds the Senator for making a request that President Obama move forward to designate Mojave Trails as a National Monument using his authorities under the Antiquities Act. 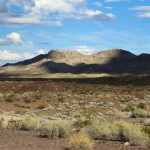 The Amargosa Conservancy has been active in the effort to protect Mojave Trails. 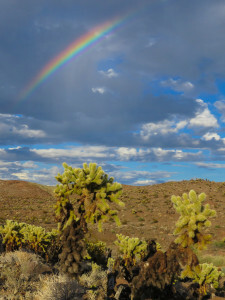 Significant portions of the Mojave Desert are protected by the National Park Service, in particular Joshua Tree and Death Valley National Parks, and Mojave National Preserve. 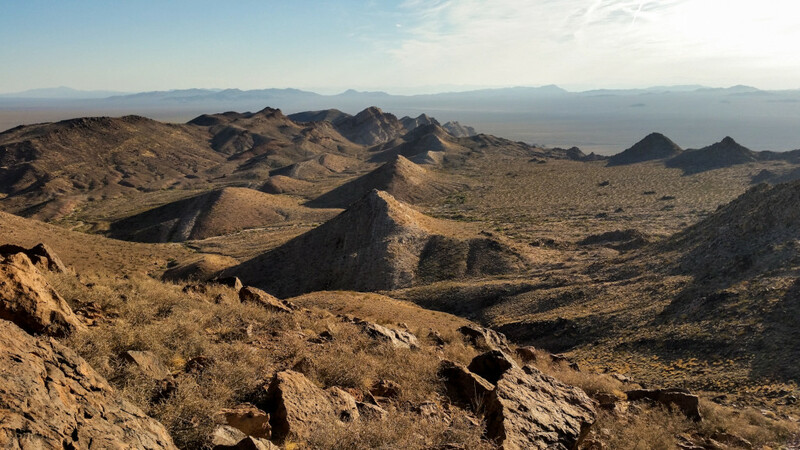 The two remaining pieces of the desert which remain unprotected are the Mojave Trails area, lying between Joshua Tree and Mojave Preserve, and the Amargosa Basin, lying between Mojave Preserve and Death Valley. Thus, protecting Mojave Trails contributes to the overall integrity of the Mojave Desert, assuring that the Amargosa Basin will remain connected at a landscape level to the remarkable biological diversity that makes our desert so distinct. The NASA Earth Observatory posted this great space-view photo of the new monuments, showing how they connect. Also visit the BLM website about the monument.